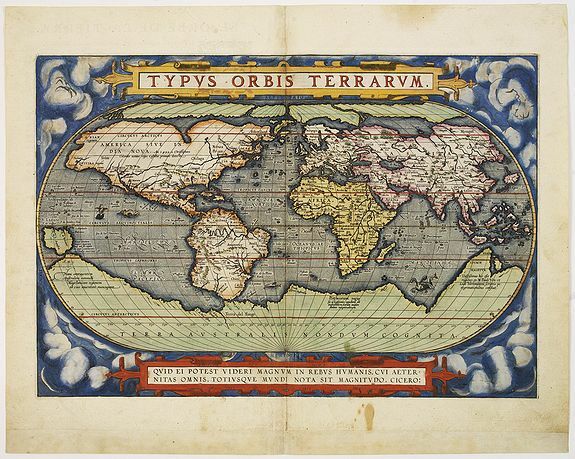 Old map by ORTELIUS - Typus Orbis Terrarum. Size: 13.0 x 18.7 inches. Condition: Mint. With a 19th century binders slip. Some marginal discolouration.From the rare Spanish text edition of 1588. A state two (without date) of the second plate of this influential, and famous World map, issued in the first regularly produced world atlas. The map is a careful reduction of Mercator's landmark wall-map of the world.